I partnered with a mobile app development agency in Los Angeles to build the backend API's for a dating app named UpdateMe. The app will be launched in NYC in 2019. I was brought in to not only develop the API's but also to create the matching algorithm which makes this dating app unique. A complete set of API's was built to handle logins/registrations/profile matching and date requests. Each built for speed and scalability as the user base grows. 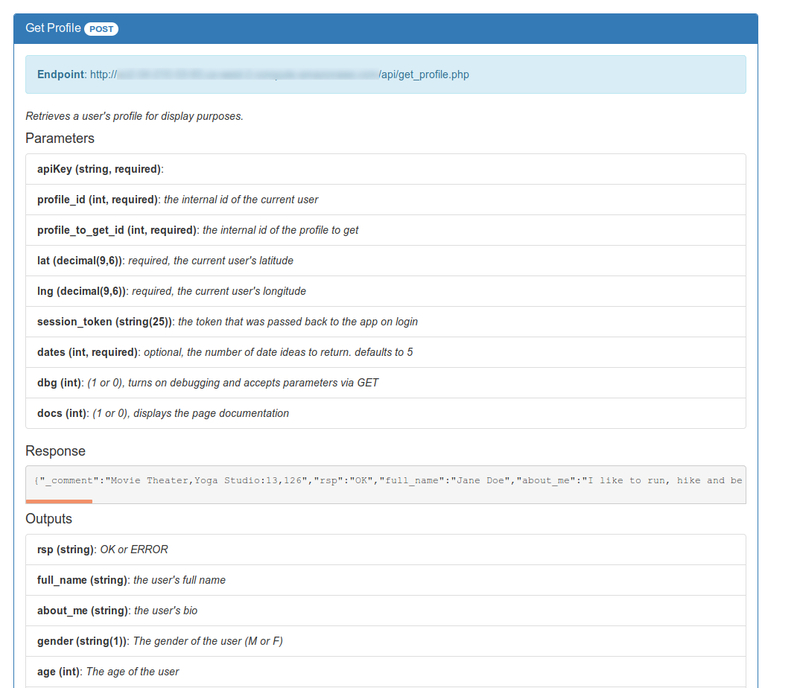 A custom CMS was built to allow app administrators to view the data generated by the app. 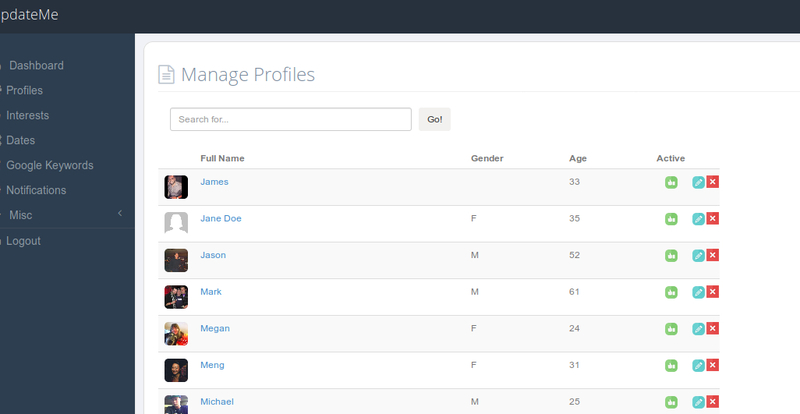 Admins can view profiles/date activities as well as add new interests for users to match on.